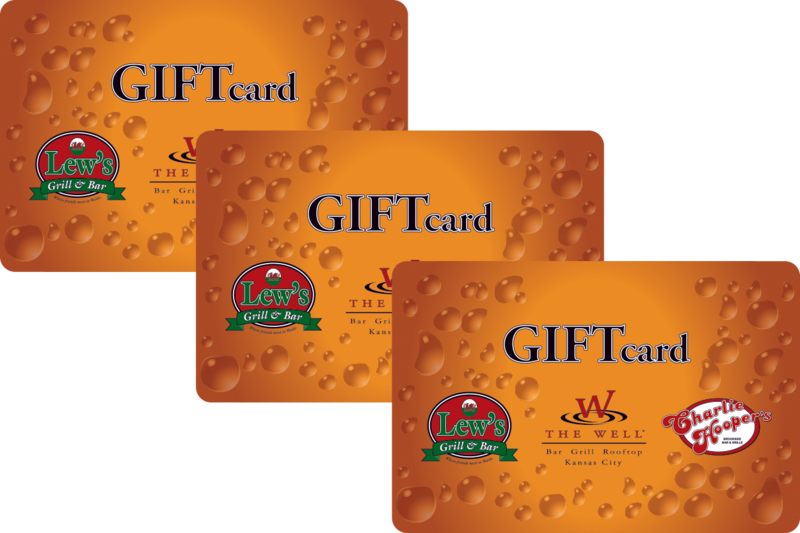 Give the Gift of Good Times! 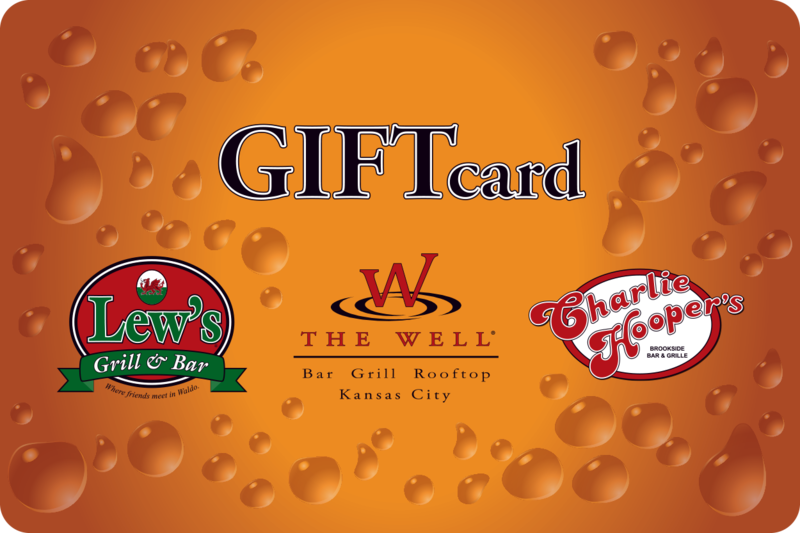 Our gift cards are accepted at The Well Bar Grill and Rooftop, Lew’s Grill and Bar and Charlie Hooper’s Bar and Grille. in amounts between $25 and $100. 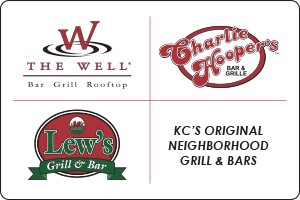 Have a donation request from your organization for an upcoming event? To request a gift card donation, click here.